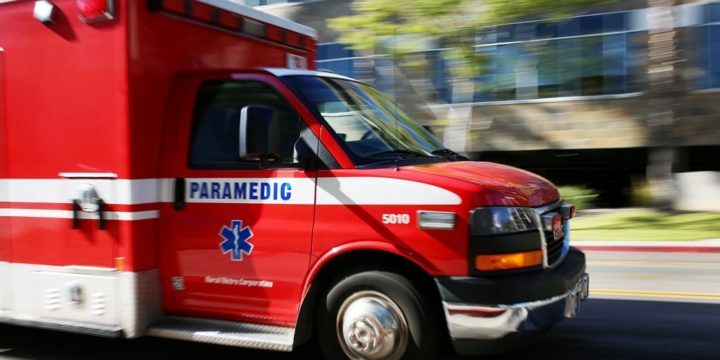 A 23-year-old motorcyclist suffered serious injuries when he collided with a car in the University Heights area, police reported Tuesday. The accident happened shortly after 10:45 p.m. Monday in the 1500 block of Washington Street, San Diego Police Officer John Buttle said. The man was riding a motorcycle eastbound on Washington Street when he ran a red light at the intersection of Washington Street and Cleveland Avenue, Buttle said. The victim then collided with the front driver’s side of a Hyundai Elantra driven by a 40-year-old woman as she turned left onto westbound Washington Street from Cleveland Avenue, Buttle said. The victim was transported to a hospital with serious, but non-life threatening injuries, Buttle said. Alcohol or drugs were not expected to be a factor in the collision, Buttle said. Department traffic division officers were investigating the collision.